People still ask me how I can stand to live in Alaska. 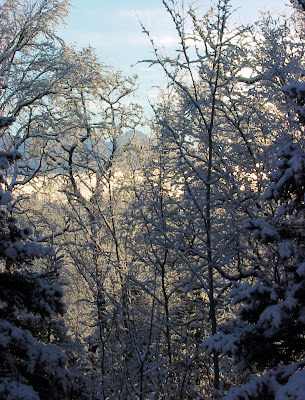 "Winter, how can you stand it? It's so cold and dark!" You got snow! That's great. It was grim and gloomy when I was up there last week. 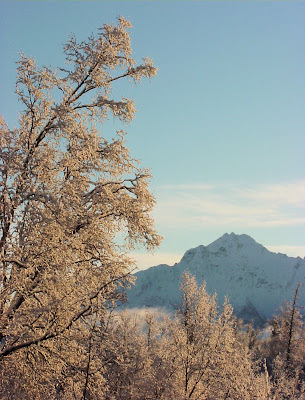 There is nothing more beautiful than a sunny Alaskan winter day with fresh snow. Thanks for sharing your pics! Yeah, last week was pretty foul. This week is awesome. I noticed that none of the Midwesterners have weighed in though, I guess they're sick of snow already this year. Babies. I don't know if Denver counts as the Midwest or not, but it's snowing right now and I'm not the only one pleased to see it. Several people I know are planning skiing/snowboarding excursions this weekend.